FME's Community ROCK It Room! Fort Mojave Elementary is proud to announce that its new community resource room, a.k.a. the ROCK It Room, is now open and available to our community. 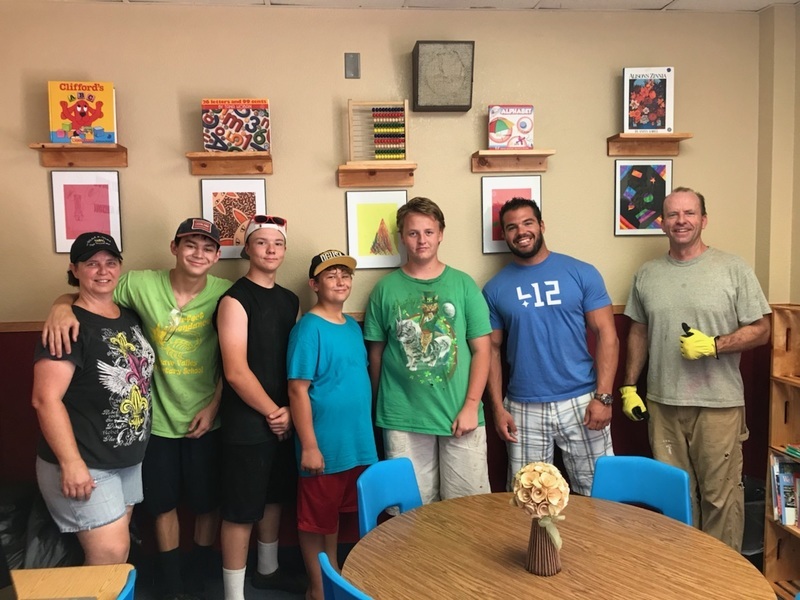 Soon-to-be Eagle Scout, Tristen Morganson, and his family, worked hard in the summer's heat to make this room so inviting. As to be expected, there will surely be some things to tweak as it gets used, but this room is obviously looking good and ready to go. Primarily, this room will be used to provide our community members with internet access (via chromebooks), a central hub for information, and an alternate place to meet with school team members. However, those are not the limits, and many more opportunities will present themselves as we make full use of our new ROCK It Room!